Individual wrote: If that is true, it seems to me that is the secret. If anybody including Tibetan Buddhists knew it, they would not take their Lamas and esoteric practices seriously. Not taking them as seriously, there would be no gain. Not sure if this is actually true. Because I vaguely remember reading a certain sectarian Chan monk writing a polemic attack on Tibetan Buddhism (which he called "Lamaism") where he made this same statement: that the rituals themselves are just expedient means, that the Lamas themselves really have no power, and the "secret mantra," is not something any of them could recite; the secret mantra is in the mind; Buddha-nature. It is hard for me to believe any Tibetan Buddhist would agree with this. It is conceivable, though, that they might tell me this to make me disinterested. Individual wrote: Samaya vows and money, yes. I am already a slave to my own mind. I would gain nothing from being a slave to someone else. Samaya is not there for the teacher. PemaRigdzin wrote: You seem to really have a bone to pick with Vajrayana. Makes me wonder why you'd even be interested. ????? If a person if practicing Tibetan Buddhism then they have to follow the instructions of the lamas. The lamas are the representatives of Shakyamuni Buddha and Padmasambhava. 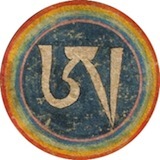 High lamas and many tulkus are either a kind of emmanation of Padmasambhava or are blessed by Padmasambhava (this is directly from a teaching that HH Penor Rinpoche gave in 2003). Similarly in other traditions one can see lamas and esp.high lamas as emanations of the wisdom mind of the Buddhas or great practitioners. Being such, they are doctors trying to heal you of the sickness of wandering in samsara and being a slave to delusion. The practices are methods primarily to train the person and to awaken or deepen compassion and wisdom and to develop some spiritual power and to purify one's karma and to accumulate merit. All of these are needed for liberation and certainly to attain Buddhahood (the primary goal of Vajrayana Buddhism). You do need faith to follow the lama's instructions and faith to do the practices. But in fact the highest teaching is the inseparability of wisdom and compassion and the lamas tell you on Day 1 that compassion and the ultimate wisdom of Buddhahood is what Mahayana Buddhism is all about. Everything else is a refinement of that view. The practices are trainings in wisdom and compassion. There is a spiritual alchemy : it is secret (except that in Tibetan Buddhism it is basically more an open secret) but it's goal's are nothing other than the development of wisdom and compassion for oneself and others. This is really true. Some people will say that this or that deity practice for example does this or that. It's true that different deity practices have different effects but these practices are medicines to cure yourself and all sentient beings of the poison of delusion and to liberate yourself and all beings from samsara. All the Buddhas have the same nature of infinite wisdom and compassion and spiritual power. All of these seemingly diverse practices are just fundamentally methods to awaken and deepen wisdom and compassion. That's why I said there were no secrets. But the facts are that different circumstances and beings need different medicines to cure themselves and others. And some of those practices done without the proper motivation can be harmful. People can understand different things by what I have said. Ultimately esoteric Buddhism (Vajrayana) is not really esoteric. The highest teaching is Great Compassion - compassion for all beings everywhere and the ultimate wisdom of Buddhahood. Compassion is like a philosopher's stone from alchemy that transforms beings from being an ordinary being to setting them on the path to Buddhahood (Lama Kalsang and every other lama I have ever taken teachings from have said this). Wisdom is harder to get a handle on which is why we study Buddhist philosophy. And it is even harder to see the inseparability of wisdom and compassion. Also what I have written could be misunderstood because the teachings also say that you can have compassion without wisdom and wisdom without compassion. And also people get entranced with selflessness and emptiness. But what I mean is that ultimately perfected wisdom and perfected compassion are inseparable and the lamas tell us on Day 1 that compassion is the highest secret - it's just that we have to develop it to it's ultimate expression. In the ultimate expression of compassion you'd see that there is no actual self and other and that ultimate compassion is emptiness. This is a common misinterpretation of Vajrayana. Lamas don't demand that their students act like their slaves. They allow students to do things for them out of kindness so that students can accumulate good karma by doing these things. Doing anything to benefit a Buddhist teacher or a Buddhist center is always a good thing. If you resent the thought of having deep devotion to a teacher, then Vajrayana may not be for you because guru devotion is really the heart of Vajrayana. If you deeply resent these formalities, then why don't you just do Zen or Vipassana? My point was that it's as impolite to walk up to lama whom you've never met before and ask for his highest teachings right away, as it would be to walk up to someone you don't know and demand an expensive present. Why would this prevent Tibetan Buddhist from taking their practices seriously? On the contrary the true nature of the mind which has the characteristics of ultimate compassion and ultimate wisdom is the goal which drives Tibetan Buddhists to do their practices. The practices are fantastic tools to help us work towards this. A lama once said to me that the true nature of a student's mind is like the sunshine and a lama is like a snow-covered mountain which allows the student to realize the true nature of his/her mind by observing the interaction between himself and the lama (the "melting"). This is the opposite of what many people might assume. Most people would assume the great lama is the sunshine, the source of power, in the metaphor, but really the lama is just a person who helps the student realize this. The source of power is within the student, but he/she can't access it alone. The guru-student relationship is not a process of enslavement, but is a process of liberation. Individual wrote: Because I vaguely remember reading a certain sectarian Chan monk writing a polemic attack on Tibetan Buddhism (which he called "Lamaism") where he made this same statement: that the rituals themselves are just expedient means, that the Lamas themselves really have no power, and the "secret mantra," is not something any of them could recite; the secret mantra is in the mind; Buddha-nature. Actually yes, it is understood that the rituals themselves are just expedient means of creating conducive interdependent situations for actualizing inner results, and that ultimately, the mantra is a manifestation of enlightened mind to facilitate one's discovery of one's own true, enlightened nature which is qualitatively identical to whatever buddha one is meditating on. It is not the case that, however, highly realized lamas have no power. If one is highly realized, one will always have some "power." However, the reach of that power is largely limited by the mental and emotional obscurations of the students and their degree of openness. It's kind of like a more complex "you can lead a horse to water" type situation. Even highly realized lamas - or even a Buddha - can't waive a magic wand to liberate people from their ignorance and negative karma, otherwise through their great compassion they would have already done that; instead, the Buddha said that he has shown us the way, but we must do the work ourselves. But for those students who have faith in pure and realized lamas, for those students that try to uphold pure ethics, who are intent on taming their minds, and who are very present, there can definitely be some profound interaction and enlightened influence. This is because that which the lama has realized within himself/herself is the same thing that the student has within, and that nature ultimately transcends conditioned ideas of self, other, existing, not existing, and all our ordinary concepts. But even ordinary individuals have some mundane power - think along the lines of a person who exudes positivity, happiness, and strong charisma... just an ordinary worldly person like that. He or she often has the power, even just with his/her presence, to infect others with that "energy." We've all experienced it. Imagine the expanded capabilities of one who really knows intimately the true nature of his/her mind - and thus the true nature of any mind and all of "reality." please come back and tell us what all the lamas said? Luke wrote: If you resent the thought of having deep devotion to a teacher, then Vajrayana may not be for you because guru devotion is really the heart of Vajrayana. This idea of devotion in Vajrayana is such a misunderstood thing. I think many people like Individual that can't get down with this "devotion" business assume it's intended that one should meet a teacher that resonates with one and then just try to start fabricating some devotion to the teacher because that's the only way the magic works. I suppose there have been so many different kinds of cults exposed over the decades where some sort of baseless, mindless devotion was demanded of the followers that this misunderstanding isn't so surprising, but it's not how devotion in tantric Buddhism works. I'll give an example of how devotion to my teachers began to arise in me. Particularly my two main lamas who, were brothers and always taught together (I say "were" and "taught" because one of them has since passed away). They were so positive, so patient, so full of clearly uncontrived joy, so giving (constantly traveling and teaching endlessly all day long for days and seeing students privately who'd asked for interviews for personal guidance, and all the time these lamas are never asking for anything - at teachings, long-time students who'd taken on a leadership role at their different centers would request that we make some meager donation to cover the costs of the Rinpoches' expenses and a tiny bit extra as a small token of our appreciation, which has always been traditional in Buddhism)... They basically just embodied love and compassion and generosity and joy and wisdom, and that was the core of what they were teaching, although all the while the Dzogchen view was also being introduced very inconspicuously (and I didn't even know what Dzogchen was at that time anyway)... Before I'd experienced for myself any of the truth of what they taught about mind and reality, I already knew that at the very least, these two men - vivid embodiments of love, joy, and wisdom - were exactly how I aspired to be. Over time, as I put to practice the teachings they taught us, and I gained experiential understanding (nothing so profound, but just real because I'd experienced it and not just believed in it), and that personal experience began to reduce my own suffering and make me want to help others (at least in a worldly sense in line with my limited capacity), my appreciation and thankfulness to my lamas and to the Dharma, and therefore the Three Jewels, just kept sprouting and growing naturally... I've also seen many times how advice they gave me that I didn't immediately understand or which was kind of differing from what I wanted to hear eventually came in very handy as situations in my life arose that were very particular and to which the advice I'd receive not long before suddenly seemed very relevant. Like they knew how my life would develop in a very specialized way, not vague or general at all, and they gave advice from that view of things. This has happened many times and I have never been prone to magical thinking... I came to Buddhism very skeptical, actually. So all of this devotion arose and developed very organically and gradually, and as it increased, my meditation deepened and I began to feel tapped in to some wisdom on some level that was guiding me, always leading me in the right direction... impossible to say whether it's mine or my lamas. I really feel like it's a confluence of the two... that as I begin to recognize in myself what I've seen in my lamas all along, my own wisdom is uncovered little by little. That's how it works. One doesn't become a slave to anyone. If one practices correctly and diligently, one begins to cease to be a slave to one's ego and pride, though. Once a great Drikung rinpoche who was both a khenpo and a yogi came to teach at my Buddhist center. He was smiling joyfully and periodically he would lean over the side of the throne and start laughing and joking with my lama in Tibetan in the middle of his lecture. The Drikung lama was so renowned and learned he could have just ignored my lama, but he really took joy in the presence of all beings, and it was nice to see the joy that such surprise interactions brought to my lama and to the whole audience in the room. His Holiness the Dalai Lama has a similar gift to radiate joy to many people at once. Many praises to all the kind lamas of the world! "I wish to know all your secrets, without having any obligations." Which Lamas would say yes? If none, then of all the Lamas that don't simply say, "No," which Lama(s) would be most likely to give me an interesting and useful answer? It is similar to your going to an astronomist, like Carl Sagan for example, and saying that you want to know all his secrets, what would he say? First you will have to learn the basics: mathematics, physics, chemistry, and so on... which will take you several years. Only then will you be able to understand that which you perceive as "secret". Excellent post. This is they way it should be. It mirrors my own experience. If one practices correctly and diligently, one begins to cease to be a slave to one's ego and pride, though. Well, THERE is the secret, huh?!? individual been doing this for years online in various buddhist chat forums. attention seeking and attention getting. is anybody going to break free from the spell? We're all attention seeking and attention getting....all of us. conebeckham wrote: We're all attention seeking and attention getting....all of us. Thank you, conebeckham, but he might be right. Sometimes, it does feel like a subconscious sense of mischief underlies some of the stuff I do and say. But it's pretty subtle and not something I do consciously or intentionally, like, "Oh boy, this will REALLLLY get those Vajrayanists stirred up! Mwahahahahaha!" When I am mindful of it, I do not post these types of things, delete these posts after they are posted, or apologize for them if they've already been read. Just to be boring; when we are genuine practicioners, want to recognize our nature and at the meantime the aim to have attention, worldly distractions, we can forget it! Cheating own being and wasting life. Arent' we cool? "You know, working together to further our mutual understanding......"
Individual wrote: Sometimes, it does feel like a subconscious sense of mischief underlies some of the stuff I do and say. Well, I wouldn't immediately go running to a Freudian explanation. The Buddhist explanation is that the force of our previous karma is very strong--it's like a raging river which pushes us along. One great way to calm this down and become more aware of it is to meditate regularly.